John Kenneth Muir's Reflections on Cult Movies and Classic TV: Saturday Morning Cult-TV Blogging: The Bugaloos: "Benita's Double Trouble"
Saturday Morning Cult-TV Blogging: The Bugaloos: "Benita's Double Trouble"
In “Benita’s Double Trouble,” Peter Platter wants the Bugaloos to DJ his show while he is away at a convention. 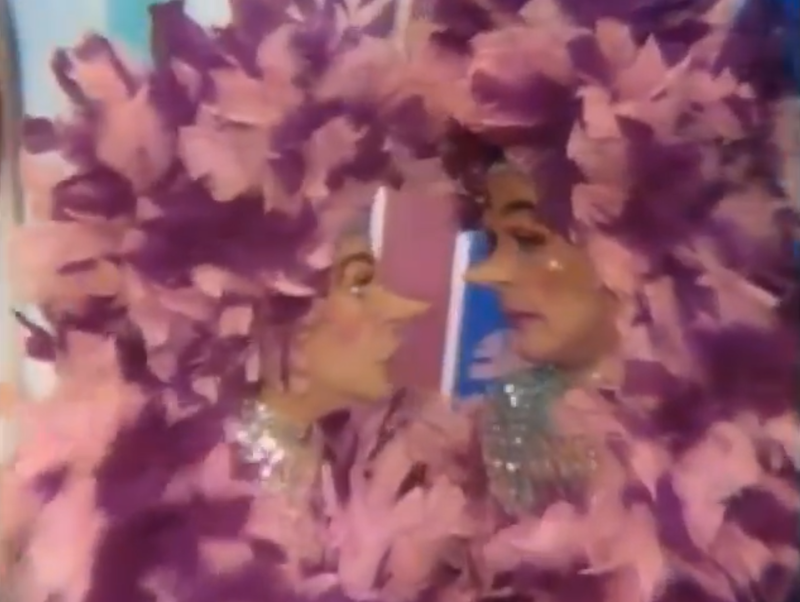 However, this plan goes astray when Benita (Martha Raye) captures Platter so she can take over the show herself, and play only her own records. The Bugaloos learn the truth, after a desperate phone call from Peter, and decide that I.Q. should pretend to be Benita to confuse her minions, and rescue their friend. 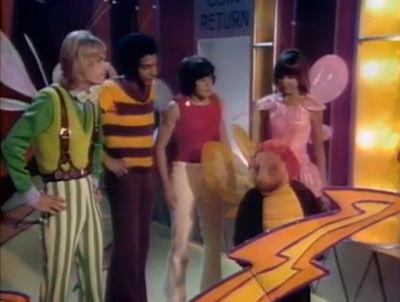 “Benita’s Double Trouble” is not a bad half-hour, but it nonetheless demonstrates the strain of writing fatigue, as it is basically the same story we have seen many times before, both on The Bugaloos (1970) and other Sid and Marty Krofft Saturday morning programs, such as Lidsville (1971). 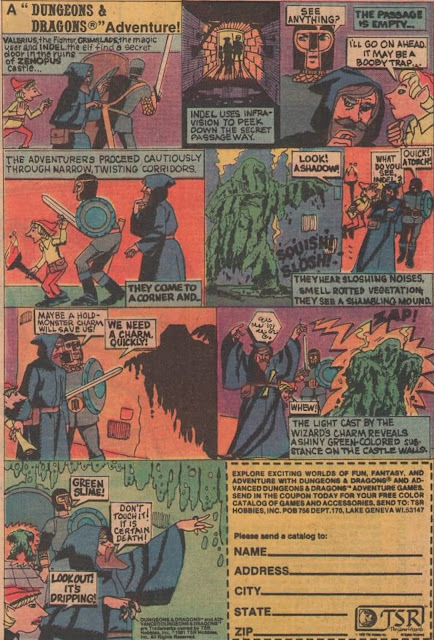 In stories of this nature, the protagonists dress up in disguises as a “double” of the villain character (or some important guest character), so they can accomplish a particular mission. In this case, I.Q. -- who does only a marginally passable imitation of Benita -- dresses up as her to confuse her minions. Naturally, hilarity ensues as the dopey minions can’t tell the fake Benita from the real Benita. “Benita’s Double Trouble” is made even less successful because it doesn’t culminate in a new song, instead repeating an old one. One can tell, basically, that we have arrived at the last-half of the series catalog. There are fewer new songs, and almost not new developments in terms of narratives, or ideas. The series is in a rut. Here, there are some weird touches to discuss. For instance, the Bugaloos suddenly possess a telephone…in Tranquility Forest. I know this is a fantasy series -- and one for children, at that -- but phones have to connect to wires (and poles), and there doesn’t seem to be any of that support infrastructure in the forest. I know. It’s a nitpick. The best joke in the episode involves a clue about Peter’s kidnapping. 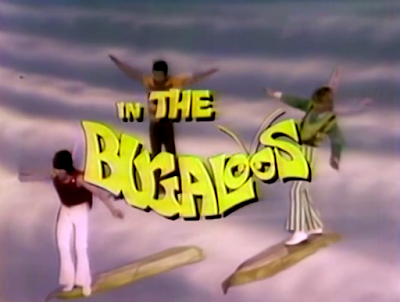 The Bugaloos must answer a question about The Beatles’ second movie. The answer, of course, is Help! (1965).